We have designed our service with the essential goal to provide our incredible clients with peace of mind. We fulfill this promise by following our unique Pet Nanny Peace of Mind Blueprint. Pet Nanny is a professional pet care company. Our clients know that they are trusting their loved ones and their homes to a well-established, experienced, qualified, insured and bonded business. We have a full-time office staff that is always available to help our clients, as well as speak with anyone who is interested in designing a pet care plan of their own. We are members of Pet Sitters International, The National Association of Professional Pet Sitters and The American Society for the Prevention of Cruelty to Animals. We understand that owning and taking care of a pet is a large investment, so we make our services affordable and competitive. We offer an assortment of services at many different price points to accommodate all pet care budgets. We realize that no two homes or two pets are exactly alike, so we offer a wide variety of services to precisely fit your needs. You will tailor your own pet care plan. We offer an estimate of all charges before our registration meeting. 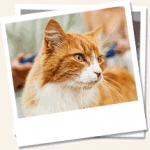 We employ ONLY dedicated pet care professionals. We work with sitters who have practical experience in the pet care field and view their time with Pet Nanny as part of their career path. We run an extensive screening process on all applicants. We hire employees (not independent contractors) who are fully committed to Pet Nanny. Read about our amazing team. Read the Pet Nanny Code of Ethics. For the safety of the pets in our care, Pet Nanny offers one-on-one care. We do not offer pack walks. Additionally, all of our sitters are residents of the Main Line, so if an emergency were to arise, someone is close by. We also do not use car decals for advertising purposes, which may alert people to your absence. Our experience and knowledge allows us to better understand your pet’s needs and how to best interact with them. Pet Nanny strongly believes in continual education and constant renewal of knowledge. As such, we are always updating our expertise of animal behavior and animal care. Pet Nanny also offers Pet First Aid Certification classes for our Pet Nannies. To help our business run as smoothly as possible we take advantage of all that technology has to offer We use a high-tech scheduling and database system so NO pet is ever left behind. This portal also provides convenience for our clients to book pet care, view their personal service calendar, and update their billing information and password. We publish a weekly blog and ezine and run awesome contests and promotions on Facebook and Twitter. We are here to provide our clients with a phenomenal pet care experience. This is done not only with top-notch pet care but also with spectacular customer service. We understand the value of open communication. You can reach the office between the hours of 9am & 4pm. We also monitor the voice mail and email in the off-hours in the case of an emergency. Additionally, our sitters leave detailed diaries at each visit and can keep you updated on your furry loved ones by sending you texts and emails. 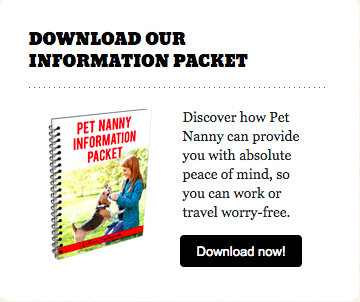 We also publish an ezine titled Pet Nanny Press, to keep you informed on all business matters and promotions as well as provide you with educational articles about pet care. To best service our clients it is vital that we obtain feedback, so we always follow-up to receive an assessment of your Pet Nanny experience. We highly encourage our clients to let us know what they loved about the process and what suggestions they may have. 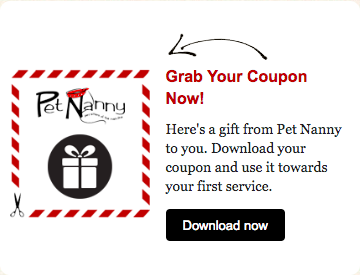 Pet Nanny was founded on my passion for animals, which this is still the root of our success. All of us at Pet Nanny make it our priority to provide your pets with as much love and attention as you would. Our purpose is to promote your pet’s health and well-being. Please email us or call the office at 610-716-7826. Office hours are Monday through Friday, 9am-4pm. Our pet sitters leave detailed diaries at each visit and will text/email you to keep you updated! We use a high-tech scheduling system so NO pet is ever left behind. We offer an estimate of all charges before our registration meeting. For the safety of all pets,we offer one-on-one care. We do not offer pack walks. We hire employees (not independent contractors) who are fully committed to Pet Nanny. Pet Nanny offers Pet First Aid Certification classes for our Pet Nannies. Proven backup and emergency protocol.